During autumn, trees turn yellow and drop their leaves as a way to save energy and hibernate through winter. 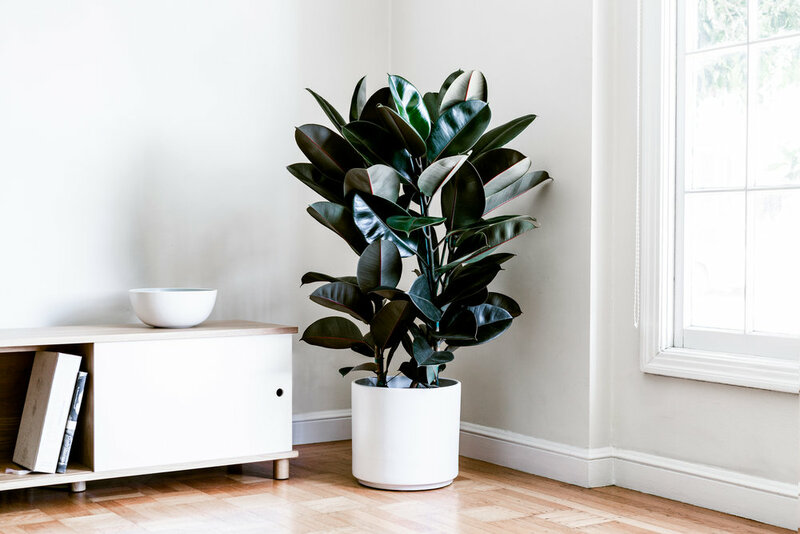 With the right conditions, indoor potted plants can stay green all year round. If you have a leaf or two turning yellow, something is off balance. Not enough light - leaves facing away from the plant’s light source can yellow. Rotate your plant for even light access. Drafts of air - move plants away from the path of air vents or open windows. It may not be your top decor spot, but your plant will thank you. Not enough nutrients - too much calcium, or not enough nitrogen, something is off. Take your plant out of its decorative pot and thoroughly shower the soil in a sink or bathtub. Provide a small dose of fertilizer at your next watering and repeat monthly. Leaf age - sometimes, nothing is off and it’s just time for the leaf to go. This is completely normal and means your plant will have more energy for growing new leaves. Above all, be patient. A yellow leaf does not mean your plant is doomed. Once diagnosing which adjustment to make, your plant can make a full recovery. With its burgundy-colored leaves, this plant makes a unique option for any indoor space. Grows quickly in ideal conditions and is easy to care for. Crimson casings of new leaves adds a pop of color and is the perfect statement piece for budding plant parents.